Rurouni Kenshin also known as Samurai X is a manga series by Nobuhiro Watsuki that ran in Weekly Shonen Jump from 1994 to 1999. 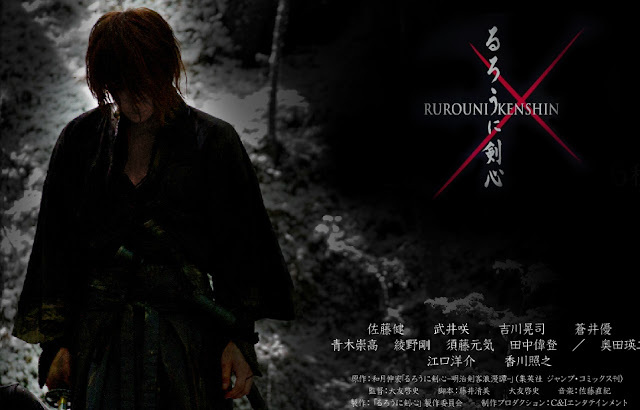 The story follows the life of a wandering samurai with a dark past, Himura Kenshin, as he protects the people of Japan through the early Meiji era. The live-action which will be released in Japan on 25th August will be based on the same plot conceived by the author. Keishi Otomo directed this film with the lead role acted out by Takeru Satoh (fourth from the left in the above picture). Emi Takei plays the heroine Kaoru Kemiya (fourth from the right), Yuu Aoi plays Megumi Takani (third from the left), Munetka Aoki plays Sanosuke Sagara (second from the left), and Eiji Okuda as Yamagata Aritomo (second from the right). Also Kouji Kikkawa plays Jine Udo (third from the right), Yosuke Eguchi as Hajime Saito (first on the left), and Teruyuki Kagawa as Kanryu Takeda (first on the right). 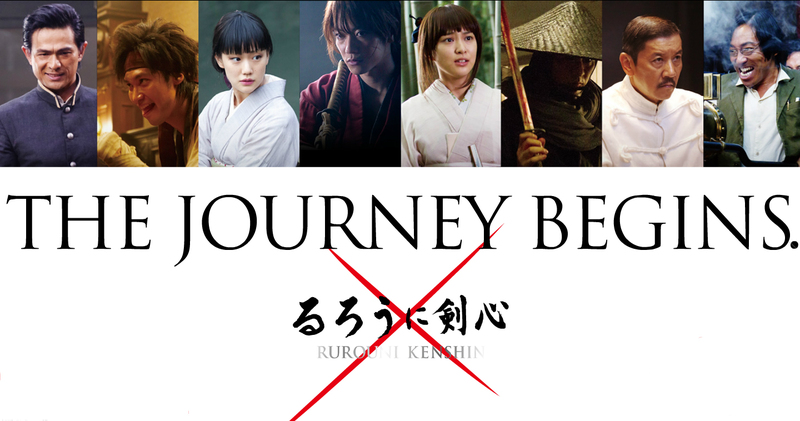 Just from the trailer you can tell that this movie will do the series proud, and sets to bring feelings of nostalgia and of course the great fighting scenes of the repenting battousai.